Monks entering the square in order to perform a sacred dance at Menri Monastery in Dolanji, India. 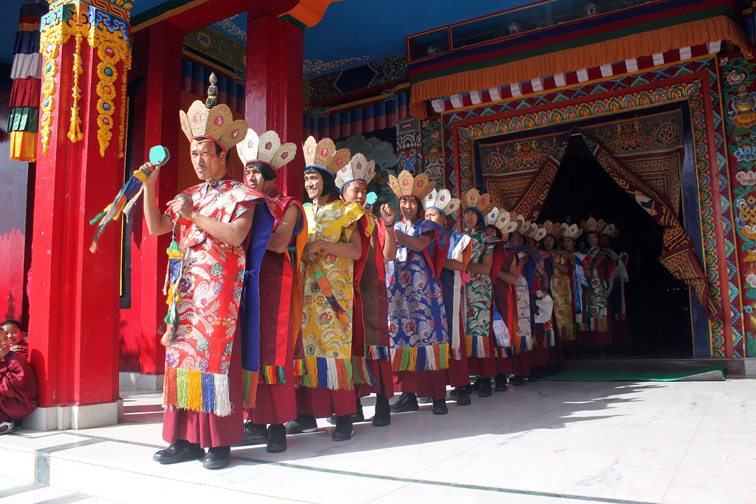 These dances are traditionally held in the days following the Tibetan New Year. Posted on April 2, 2013, in Prayer and Ritual, Tibetan Culture & History, Uncategorized, Yungdrung Bon Monasteries and tagged Asian studies, Buddhism, Kathmandu, Menri, monastery, Nepal, sacred art, spirituality, tibet, Tibetan culture, yungdrung bon. Bookmark the permalink. Leave a comment.